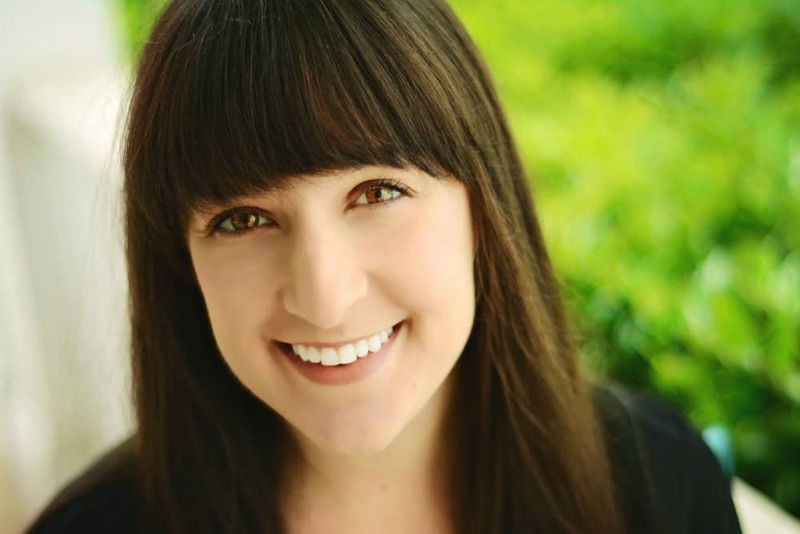 December 14, 2015 By Liz 49 Comments Note: This post may contain affiliate links. 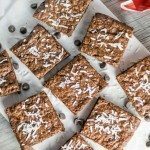 These double chocolate almond flour brownies are so fudgy and delicious! Packed with tons of chocolate, these gluten free brownies will be your new favorite! I love a good brownie. Preferably one that is not only a deep, dark chocolate but one that also has chunks of actual chocolate inside. The more chocolate, the better. I’ve made a lot of brownies in my lifetime, but for the first 16 years of my life, it was always a Betty Crocker mix. My mom and I would add in chocolate chips and I would feel like a little bit of a rebel since the box didn’t call for chocolate chips. Clearly, I was a rebellious child. Once I got a little older I started making brownies from scratch. Some were a success, some not so much. 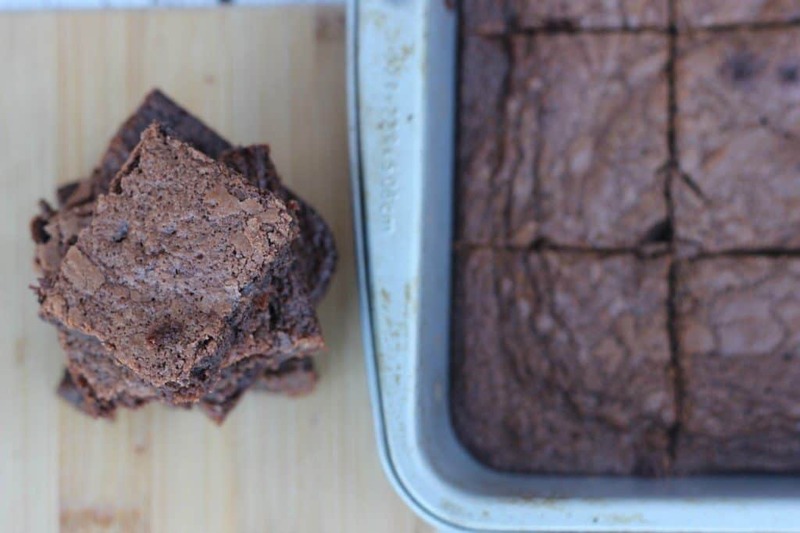 Luckily, this gluten free brownie recipe is not only delicious… it’s pretty much foolproof. Spray a 9-inch square pan with cooking spray and set aside. Combine the melted butter and cocoa, stirring to combine. Add sugar, eggs and vanilla and beat until smooth. Add the almond meal, corn starch, baking powder and salt and mix to combine. Spread into the prepared baking pan and bake 30 minutes. I really couldn’t believe how well these almond flour brownies turned out. I was afraid they wouldn’t hold together or they’d be too crumbly, which is a pretty common problem with gluten free desserts. But these held up just fine. Mmm love me a good brownie, even more so when there’s vanilla ice cream involved ;)! My favourite dessert would have to be a toss-up between cheesecake and good ol’ vanilla ice cream–> clearly I am low-maintenance with my dessert choices! this brownies look like the whole package: chewy, chocolatey and with a crispy crust! noms! I always used to “doctor” up the box mixes too. Still do sometimes, haha. Homemade brownies are always the best, though! 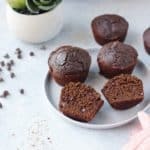 I absolutely love baking with almond flour! These brownies look so dang yummy – gooey, fugdy and dense, just like I like them!! I haven’t made brownies in a while actually, mostly because I have no self control around them! Your rebellious childhood sounds quite similar to mine aka not rebellious at all 😀 These brownies though–I’ll take the whole pan, ok? Thanks. Yum!! These look amazing! What a great recipe! LOVE That you made them gluten free! Thanks for sharing!! This looks awesome. I’ve never cooked with almond flour before. I’ve been wanting to make brownies for a few weeks now. You rebellious child you. Now that is my laugh for the day and thank you very much. Yes…CHOCOLATE!!! And the more the better. These look rich and decadent, my favorite kind of brownie! Diane @ Life of Di. Man, I could really go for a good brownie! I haven’t tried almond flour yet, I’ll have to pick some up! LUHVE these. I may never eat anything but this ever, ever again. Amen. 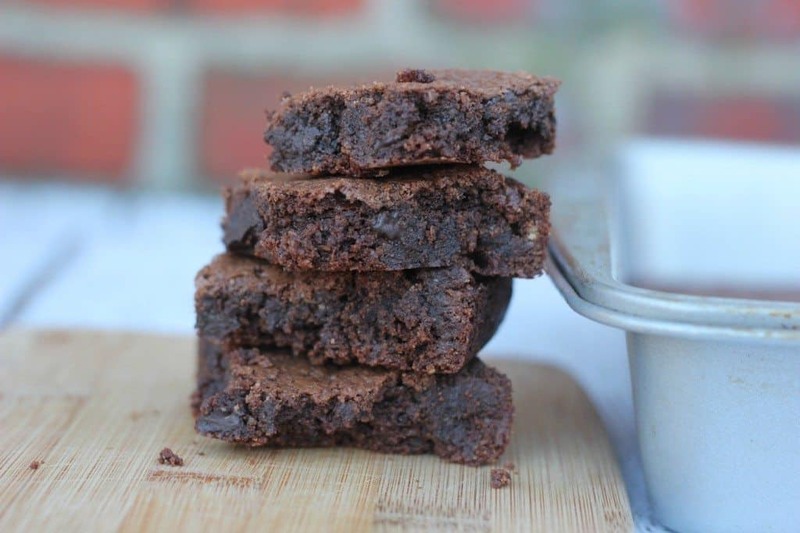 I love a good brownie, these looks really good, pinning and sharing! 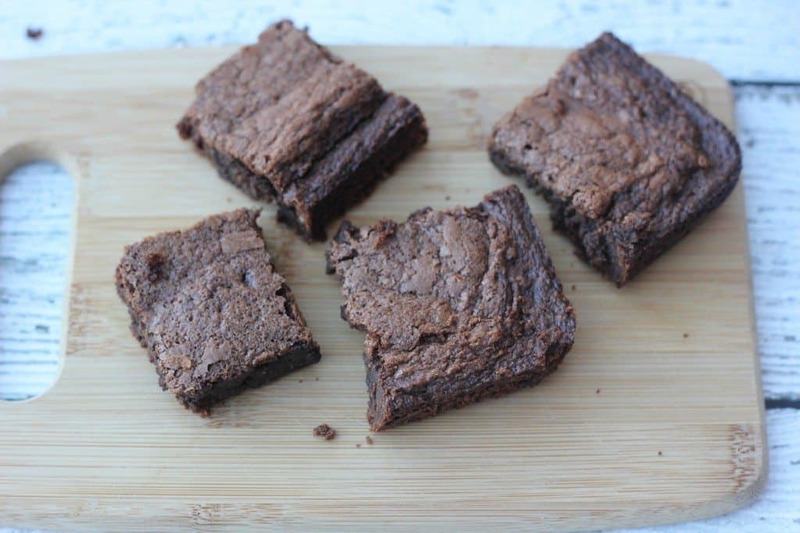 I’ve never tried baking with almond flour before, but these brownies sound very delicious! Who doesn’t love extra chocolate chips in their brownies? Betty Crocker needs to get on board with that 😉 I love all brownies and these look amazing – especially for being gluten-free. I haven’t done much gluten free cooking/baking but my daughter has some friends that have to be gluten free so when they are over I have to branch out a little bit. These brownies look like the perfect treat to make next time they are over! Stumbled across these while searching for something to bake with almond flour that I had kicking about in the kitchen cupboard. 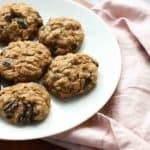 Just made a batch and they are awesome – the perfect texture, rich, chocolatey and not too sweet…. quite possibly the best brownies I have ever made! Thanks so much for sharing. Now i’m off to eat the rest of the tray before my husband sniffs them out and I have to share! Hi, I really do believe this really is a great website. it. Money and freedom is the perfect approach to change, may you be rich and continue to guide others. Wondering if anyone knows Why the need to add “cornstarch”??? I have been Baking/ cooking for almost 50yrs now, and this is the very first time I have ever seen such a request. Would love to understand why? Hi Shari! I’m not a gluten free baking expert but as I understand it, cornstarch adds a nice, fluffy consistency into a gluten free flour blend. (In this case, it adds some fluffiness to the dense almond flour.) You could sub in tapioca starch or potato starch if you prefer! These were truly yummy. Thanks for a rich chocolatey treat without gluten. Hi these look so good! I was wondering however did you use unsweetenened cocoa powder or if not what kind did use? Yes! Sorry that it wasn’t clear in the recipe- I used unsweetened cocoa powder. Thank you! I’ll definitely try these out soon. Making these today….but am I crazy!? When do the chocolate chips go in? Oops! Sorry for not making that clear- you can add them in just before you spread everything in the pan! Oh yummy brownies! Thank you for this recipe. I have been craving brownies, and I’ve got all these ingredients in my pantry. Looks like I know what’s for dessert tonight! 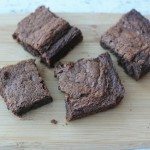 I’m gluten-free so always on the lookout for the best GF brownie recipes – and this version sounds delicious! 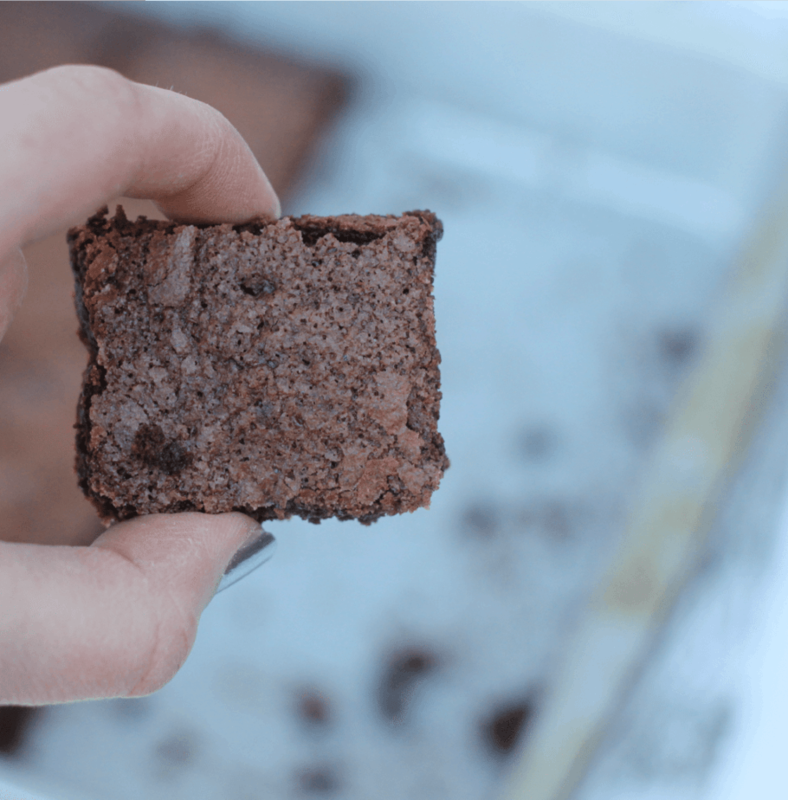 My boyfriend Loves brownies so I need to make this gluten free batch for him! Oh my… These brownies are PERFECT. I would do anything to have a few of these guys to enjoy with a big mug of cocoa right now! Fellow brownie lover here! Oh, my those brownies look perfect and I love using almond flour as well since I follow a gluten free diet. I made so many of the Betty Crocker mixes when I was a kid also! These look so delicious! And I love the chocolate chip chunks, yum! I love brownies. This looks like a must try one ! First, I love “foolproof”! Second – I needed a gluten free brownie for my family — several of whom have trouble with wheat products. Thank you! I love your idea of rebelling and hope that I’m so lucky to raise a rebel like that. You know, one who brings me chocolatey baked goods with extra chocolate. These look divine! Almond meal is the same as almond butter?? Almond meal is actually like flour made from almonds. It’s finely ground almonds, but not ground all the way into butter. In terms of consistency I’d say it’s somewhere between flour and breadcrumbs! You can often find it in the natural food section of larger grocery stories with the Bob’s Red Mill products or at places like Whole Foods or Trader Joe’s. Welcome to I Heart Vegetables! You'll find easy, vegetarian recipes and simple tips for living a healthier, happier life!